On this day in 1939 At Yankee Stadium, Lou Gehrig’s streak and career come to end as the ‘Iron Horse’ plays his final game going 0-for-4 against the Senators. The Yankees first baseman played in 2,130 consecutive games and compiled a .340 batting average with 490 home runs during his 17 seasons with the Yankees. Gehrig was 35 years old. 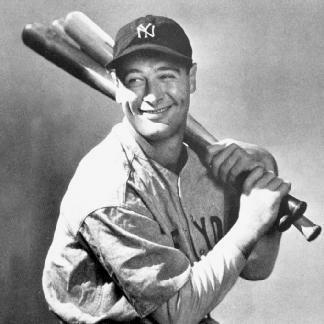 In 2 years he would be dead of a disease that is now named after him-amyotrophic lateral sclerosis aka Lou Gehrig’s Disease. Lou Gehrig is the all time greats. I remember when I was a kid when they would talk of records that would never be broken, they would always have Gehrig’s record near the top of the list. Then along came Cal Ripken,Jr. I am certain no one will break the record now-simply because no ballclub will ever let it happen.